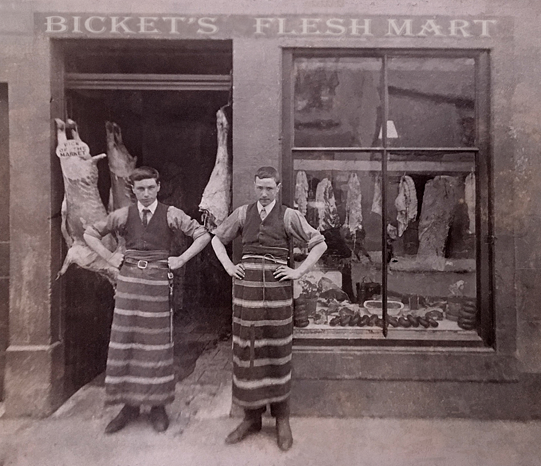 I was born into a long line family of butchers, my forefathers have been butchers in Kilwinning since 1830. Having been brought up with my brothers and sisters on our family farm just outside Kilwinning I learned from a very young age how to work the farm then butcher in the family shops. To this day, my father still rears his own cattle and livestock to supply his shops and he taught me the importance of caring about the source of my meat and the quality of my produce. In previous times, pre supermarket, Barrhead had 8 butcher shops and the last surviving butcher was McKenna’s at 224 Main Street. McKenna’s closed it’s doors in 2013 and myself and my wife, Lynne seized the opportunity to open our own butchers shop. 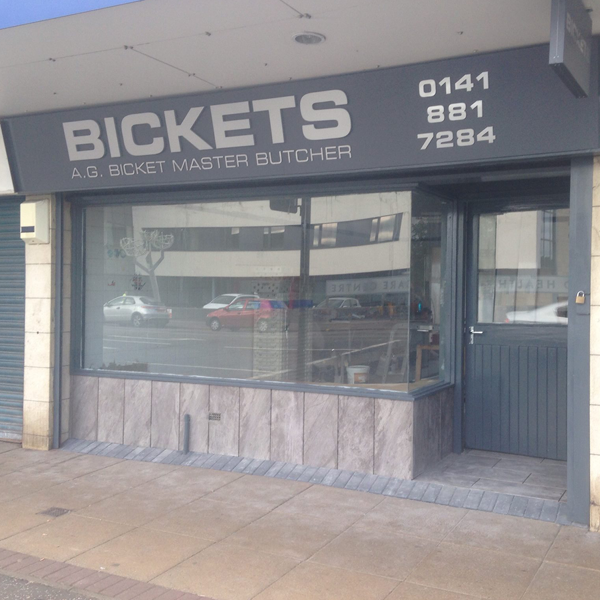 After months of hard work, remodelling the original butchers shop, we opened Bickets in July 2014. Today you can find the quality and selection in our Barrhead shop with our extensive selection of beef, lamb, pork and chicken. We created our shop as a contemporary version of the traditional family butchers that we just do not see on our high street anymore! We truly believe in the saying “It does what it says on the tin”. Each and every day at Bickets we strive to be the best at everything we do! We will always give you good old fashioned service, offering the best quality of products, giving our customers what they want, when and how they like it!